I bought this pendant for my daughter. It is very pretty and she likes it very much. It is obviously hand crafted and has a bit of a rustic handmade look that I think makes it more appealing. It was a plus for my daughter that the necklace supports a single craftsperson rather than a big company chain. Artisan Goong handcrafted this enchanting necklace from sterling silver. 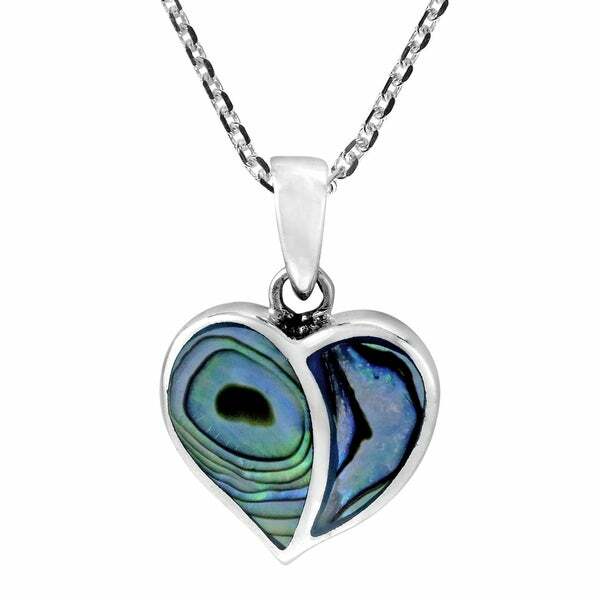 The pendant features shell or stones inlays which add to the design's elegance and charm which hangs from an 18 inches chain that fastens with a spring ring clasp. A classic accessory that compliments any outfit. Please note that pictures are not true to size, see dimension for actual size. Dimensions 0.83 In. X 0.59 In. X 18.0 In.